Increase your computer?s security with new generation antivirus! 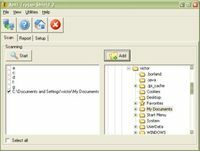 This antivirus removes I-Worm.Sobig viruses directly from your mailboxes! Scans, disinfects and eliminates over 110, 000 viruses, worms and Trojans. A free tool that removes the most common viruses & worms from your computer. Avira offers antivirus protection for home and network Linux users, worldwide. Strong real-time protection against viruses on Linux file servers. The Antivirus software solution for your personal computer! ClamWin Antivirus is antivirus software for Windows. 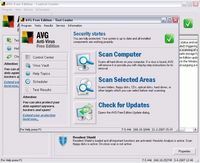 Download antivirus (anti trojan) with scanner and monitor.